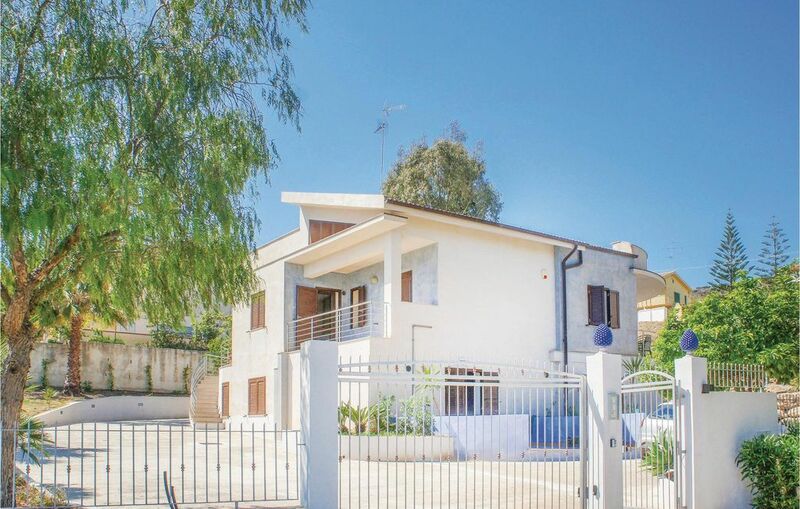 Located just 250 meters from the beach of Timpi Russi (Agrigento), this holiday apartment is located in a residence with a shared outdoor area with wooden gazebo, barbecue and a large table for outdoor dining. The apartment has a sea view and a terrace for outdoor dining. Independent entrance via an external staircase. Outdoor area with shared laundry. The accommodation is on the south-western coast of Sicily, a 10-minute drive from the spa resort of Sciacca and a 45-minute drive from the world famous "Temple Valley" of Agrigento.